Today is All Saints Day, the day the Catholic Church commemorates all the saints, both known and unknown. 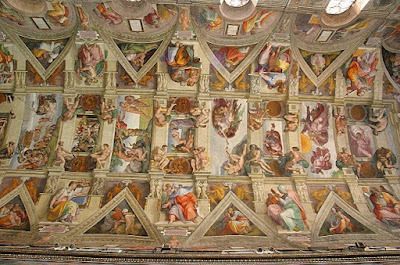 It was on this day in 1512, Michelangelo's frescoes on the vaulted ceiling of the Sistine Chapel in Rome were first shown to the public by Pope Julius II. 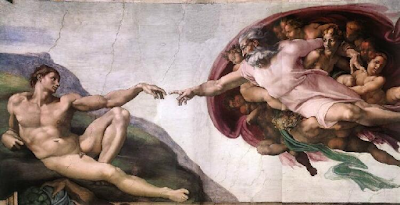 The most famous of the images of the Sistine Chapel is The Creation of Adam. 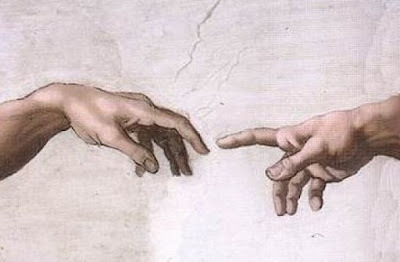 Ask yourself this: Is God reaching for Adam or is he pulling away?